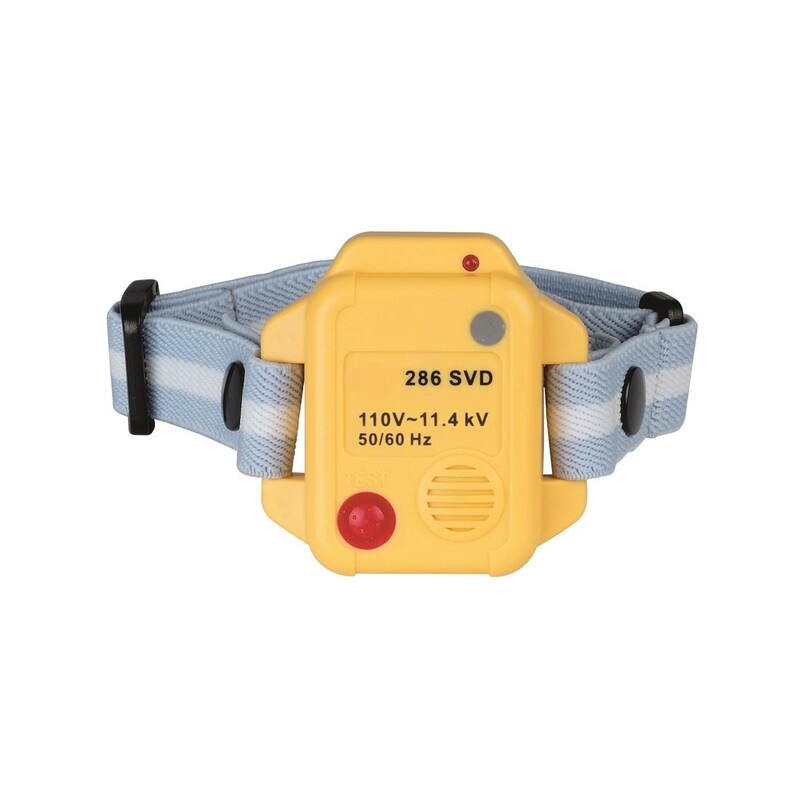 The H286SVD will alert personnel that high voltage or live equipment is radiating voltage with a high volume buzzer and led that varies based on the sensed voltages. It provides power & electric, engineering, firefighting, and instrument technicians with an added level of safety when approaching high voltage. The unit includes a self test feature and elastic band which can be adjusted to be worn around the arm or hard hat. Battery Life: 50 hours (Continuous Use). Included Accessories: Band, Bracket, Instruction Manual, Battery.